Christine Poulson moderates a discussion with Martin Edwards and Tony Medawar. W Is For Woman – Something To Prove? When Christine was in Toronto for the Bouchercon World Mystery Convention, in October, she recorded her short-story “Roller-Coaster Ride,” from the December 2014 EQMM, for their November 2017 podcast. Listen here or below. Christine’s new novel, Cold, Cold Heart will be published by Lion Hudson in the UK on 17th November 2017 and in the USA in January 2018. Read more about Cold, Cold Heart. Christine Poulson talks with Carol Westron on the Lizzie Hayes Promoting Crime Fiction blog. They talk about the differences between writing fiction and non-fiction books, series versus stand-alone novels, issue-based novels and why Christine is drawn to writing about the parent-child relationship. Read the full interview here. Christine’s new novel, Deep Water was published by Lion Fiction on 21st October 2016 in the UK and on January 2017 in the USA. 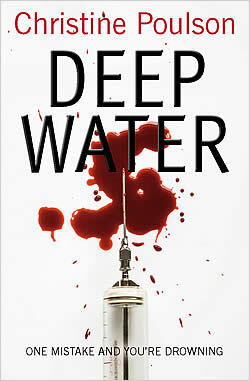 Read more about Deep Water. ‘Faceless Killer’ appears in the March/April 2018 issue of Ellery Queen Mystery Magazine. ‘Faceless Killer’ has been short-listed for the Margery Allingham Prize. ‘Secondhand Heart’ appears in the January issue of Ellery Queen Mystery Magazine. ‘Ashes and Pearls’ appears in the May issue of The People’s Friend. On 28th April Christine took part in a panel at Malice Domestic, an annual fan convention, held in Bethesda, Washington DC, that celebrates the traditional mystery, books best typified by the works of Agatha Christie. On Sunday 11 March between 1.00 and 2.30pm Christine will be taking part in the CWA panel, Criminal Minds, with J M Hewitt and Paul Gitsham. The session will be chaired by Martin Edwards. Hear stories of sleuthing, murder and mayhem in this fascinating discussion between members of the CWA. With over 700 members, the Crime Writers’ Association is well known for its prestigious Daggers, awarded every year for the best in crime writing, and provides an unrivalled platform for authors and their work. 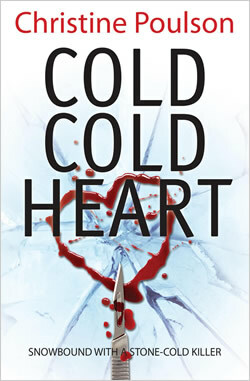 The launch of Christine’s new novel, Cold, Cold Heart, takes place at the Orchard Square branch of Waterstones in Sheffield on on Tuesday 23rd from 7.00-8.30 pm, which is also the date of publication in the US. There will be wine and, as the novel is set in Antarctica, there will be some Antarctic-themed entertainment. All are welcome. 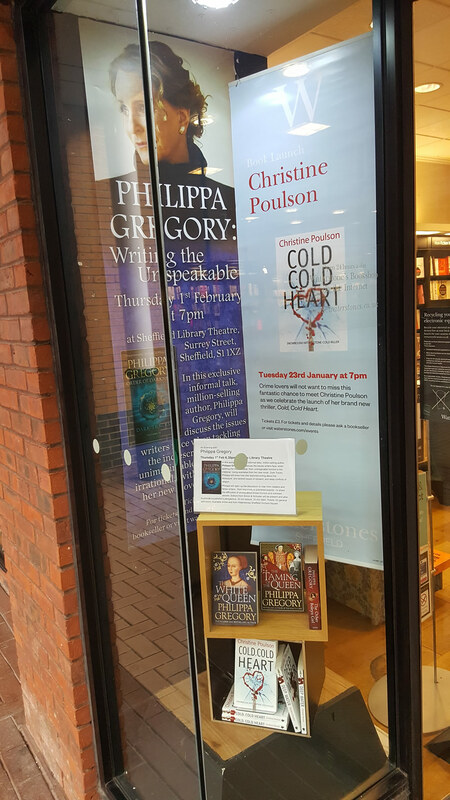 Photo shows the window display for Cold, Cold Heart at Waterstones in Sheffield. Click on the image enlarge. On Thursday afternoon at 15.50 Christine will be taking part in the panel: Headspace: What’s it Like Being in your Characters’ Heads? Book a convivial evening to die for by joining us for Pimms, strawberries and poisonous quizzes. Make murder your business in the company of crime authors: Stephen Booth, John Harvey, Jim Kelly, Mandy Morton, Peter Murphy, Christine Poulson, Kate Rhodes, Imogen Robertson, Nicola Upson and others. Crime Quiz, Crime authors, Crime crackers, Crime Time! Christine moderated the panel: The Contemporary Cosy: Is There Still Life In The Golden Age?